This massive war machine brings unparalleled mechanical might to the cause championed by the Black Powder Rebels, the unruly upstarts that sparked a revolution in the Mage Knight universe! 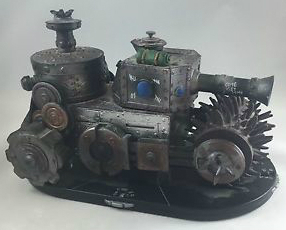 This giant, imposing, spiked contraption is designed to roll over oppressors from any faction, and blow up the minions of tyranny with its enormous main gun. The Black Powder Rebel Tank is one of the most dynamic pieces produced by WizKids to date. Hobbyists and collectors will find the Limited-Edition Atlantis tank to be the perfect centerpiece of their collection or the flagship of their army. 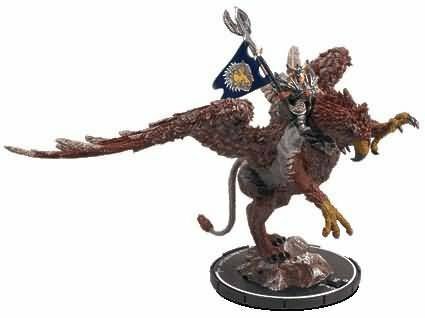 Usable in larger Mage Knight battles, the “Fist of Tezla” has five points of articulation and “hovers” atop clear plastic posts that attach it to its combat base. 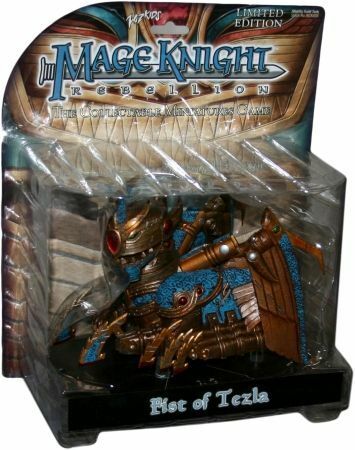 The Fist of Tezla is overwhelmingly powerful with a wealth of Mage Knight special abilities including Flight, Flame Lightning, Invulnerability and Pierce. It also has variable starting point costs allowing players to deploy a light or heavy version of the Fist. 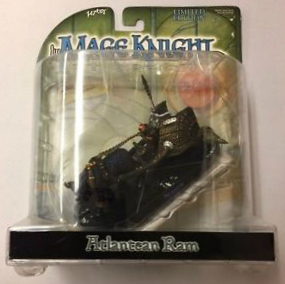 The Atlanean Ram is a necessity adding mobility, versatility, and power to their army. 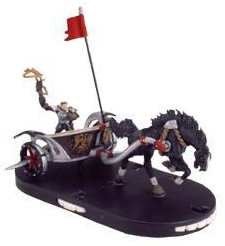 Chariots transport powerful figures across the game board, freeing turns for combat. 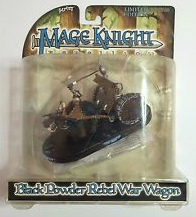 The Chariot also brings a new special ability to Mage Knight, Ram. 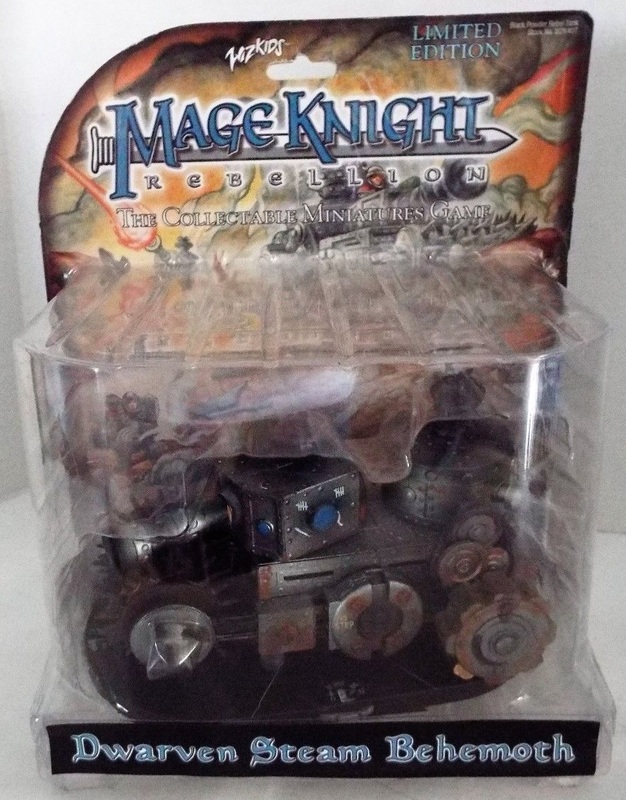 The limited edition Mage Knight Chariot series allows figures to move across the battlefield with speed. The chariot has four combat dials that represent various components of the chariot. 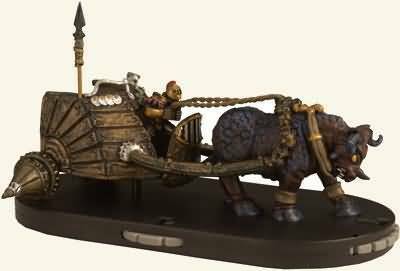 In addition, characters can mount and dismount the chariot during play, effectively moving and attacking in the same turn. 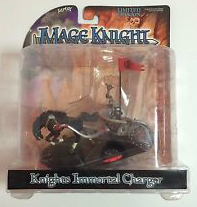 Quick as lightning, the Knights Immortal Charger streaks across the field of battle faster than any other Mage Knight chariot. The Charger will take your most powerful warrior, the Paladin Prince for example, across the table in the blink of an eye. Aided by the special ability Quickness, the Knights Immortal, guardians of the Sturnmonts Mountains, now possess a level of mobility previously unseen in Mage Knight. 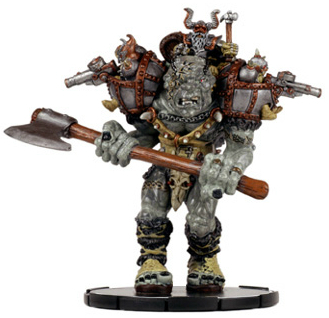 The Iron Rain Hill Giant is the first Mage Knight Titan, large single-base creatures for use in Mage Knight and Mage Knight Conquest games. 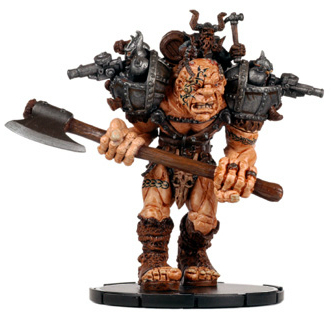 This incredibly detailed monster is 4″ tall and has Surly Dwarven Gunners mounted on his shoulders for deadly ranged attacks. 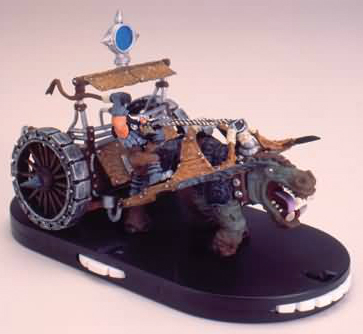 The three dwarven gunners also make this one of the coolest fantasy monsters ever offered. 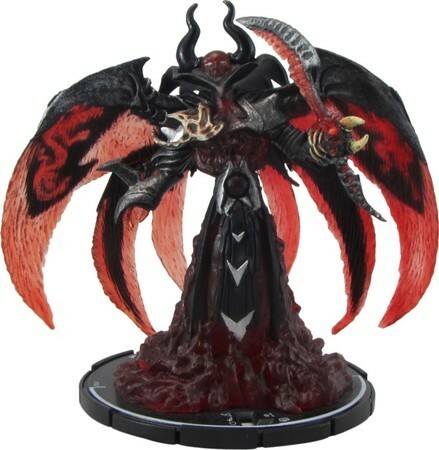 As a Titan this figure falls between regular Mage Knight pieces and the tanks and dragons. 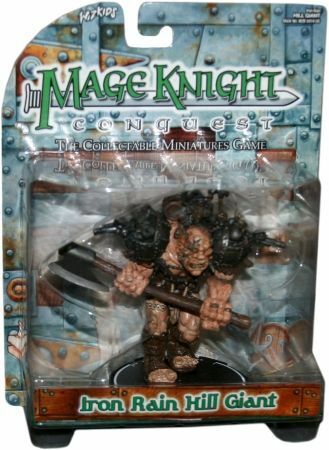 It’s incredibly effective in regular games, Conquest games, and against Mage Knight Castle pieces. 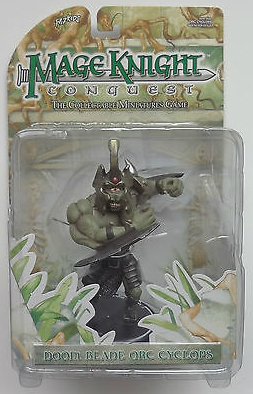 Includes complete Titan and Conquest rules. 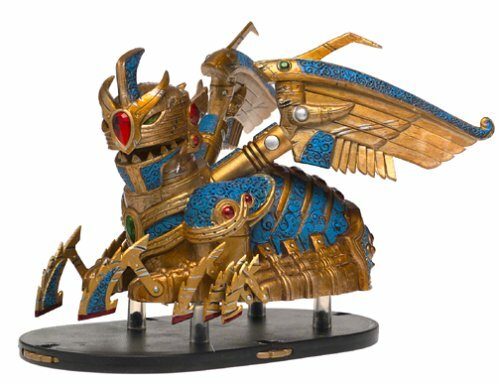 Tournament Prize. No information available. No information available. Rules included. Many favors have been asked of the Solonavi by warlords and generals across the Land. Now the Solonavi are calling in their debts, and the Spirit Eidolon is making sure that all favors owed are repaid in full. 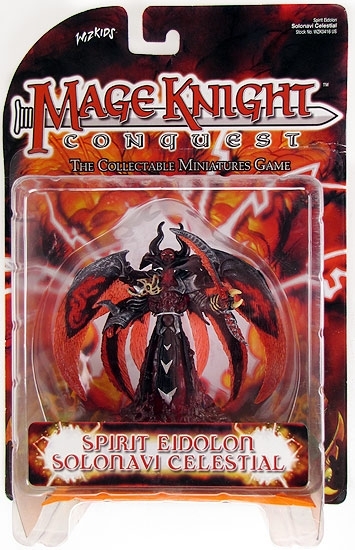 The Spirit Ediolon Solonavi Celestial is the perfect piece for a Solonavi army, or for anyone looking to add serious power to their offense. 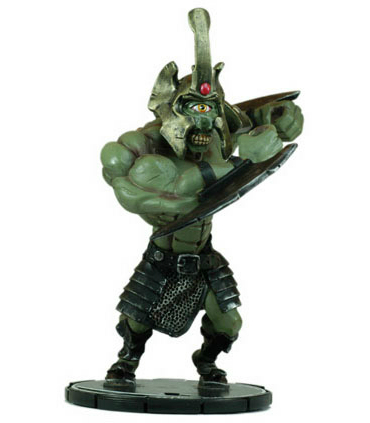 Using Titan rules it’s equipped to serve in a variety of functions as part of any army. 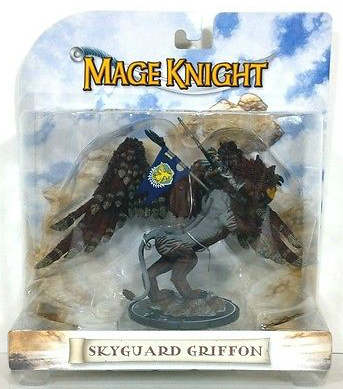 Compatible with all Mage Knight figures. Includes figure rules.